The property is reached through the most wonderful front garden with picket fences, Laurel hedges and Cherry tree. The front door leads you into the lounge with feature fireplace containing a wood burning stove. The ground floor also benefits from a cloakroom. 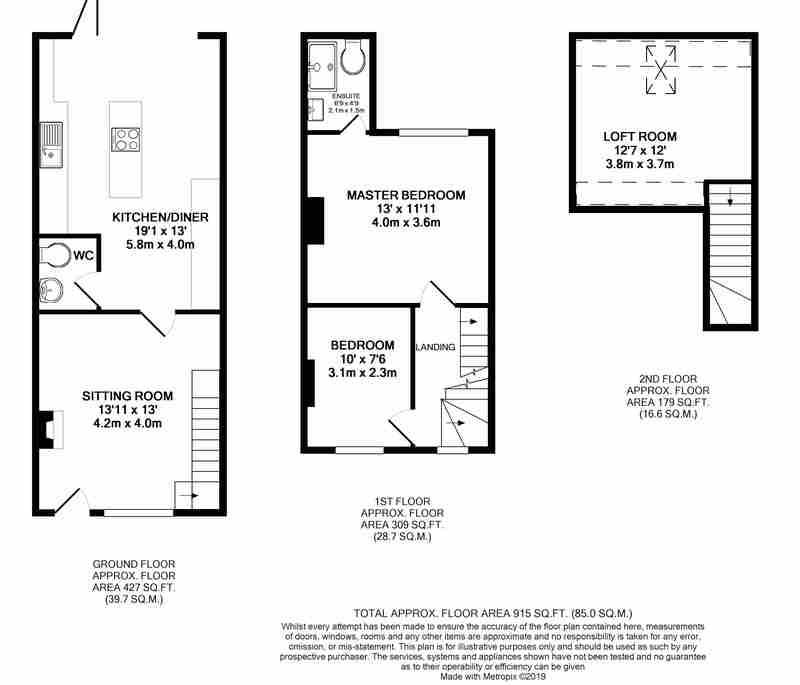 On the first floor there are two bedrooms and bathroom/ensuite. There is another staircase leading to the loft space which could benefit from further improvement (STPP).